Here with next part. Hope u’ll like. Sanskar sits in bed. He’s so angry. San: be calm. If I get angry, I can’t find my Ragini. I’ve to take every step carefully. He feels some one’s presence. He looks back but find none. He started to analyse from starting whatever happened. San: wait. Main question is from where kavita came here? Is this her plan coz I rejected her? Kav: sanskar, I love you. Will u marry me? San: it’s not April first kavita. Kav: m serious sanskar. I really love u so much. I want to spend my life with u.
San: I’ve always seen u as my best friend. Nothing more than that. M sry if any of my behaviour made u feel like that. 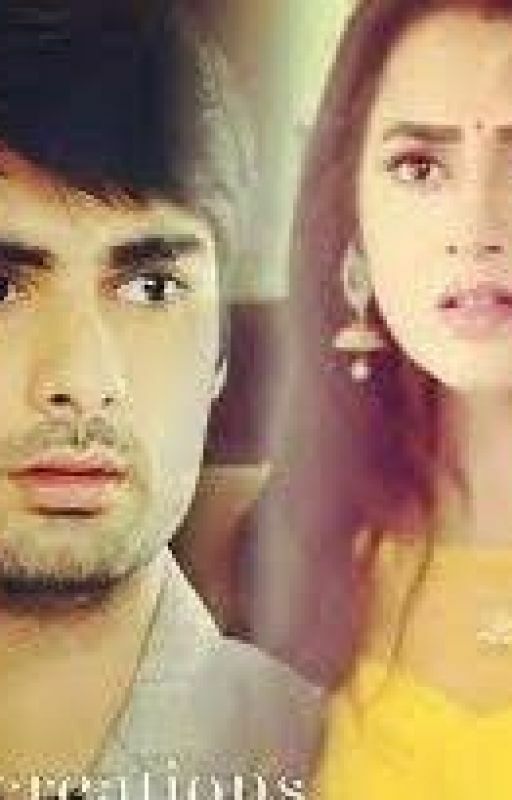 I don’t have that kind of feelings for u.
Kav: pls sanskar. Try to love me. U’ll definitely love me. San: love can’t b tried. It just happens. M sry kavita. I can’t marry u. U’ll b always my best friend. Let’s stay as best friends only. He holds his head in pain. He took his tables and sleeps. After sometime he wakes up and stands near window. He saw Sujata going somewhere like hiding. San: where mom is going? That too hiding herself. He was abt to call. But stops. San: now I can’t believe anyone. I’ll have to follow her. He follows her without letting her know. She met someone. That person was standing other side of tree. Sanskar cudnt see. Suj: I don’t want her to b in sanskar’s life. Do my work asap. Sujata gets alert by some noise. Suj: now go from here. No one shud see us. She left. Sanskar goes near tree and sees all sides of road but cudnt find that person. San: is it mom who doesn’t want Ragini as her DIL?. But Ragini is her choice only. To whom she told to do which work. That day laksh and today mom. Something is fishy. He was returning by walk. at the same time car comes fast which hits him by side. He fell down. That car stopped at some distance. And again left. Sanskar felt weird. He got injured on his hand. It was bleeding. He goes to nearby hospital. Doctor was treating him. Doctor asked him abt his other injuries. He told abt his accident. Nur: sir y don’t u get checked up once. Nur: after this accident if any internal injury u got means we don’t come to know. Rite doc? Doc: yes mr.sanskar u shud. Sanskar agreed. Doc does his full check up and tells him to come next day to take reports. Sanskar leaves. Again he feels someone eying on him. Again he turned and din’t get anyone. On d way he meets his friend Sahil. Sah: hi sanskar how r u bro? How was ur honeymoon? Din’t meet after marriage? I think Bhabhi’s effect. Sah: (feels weird) of course ur wife is my Bhabhi. Sah: wat type of question u r asking? Sanskar gets happy and hugs him tightly. Sah: leave me sanskar. M not Ragini. Y r u hugging like hubby? San: come home tmrw. Ragini was asking for u. She saw u only in pic. Come in the evng. Sah: of course I’ll come. See u tmrw then. He leaves. Sanskar smirks. He gets call that time from unknown number. He received. San: I’ll text u where to meet. Don’t inform anyone. He was near to home. He a hoodie person going out from his home. Sanskar follows him hiding. That person came to know abt sanskar and started to run. Sanskar too run behind him. Sanskar catches him and shocked to see that person. Hey guys I know u may get confused a lot. But in next part it’ll b cleared. The post Truth? or Lie? – Ragsan – Part 6 appeared first on Telly Updates.